Having spent most of last week reading up on the new General Data Protection Regulation (GDPR) that comes into force later this month, Chichester Copywriter uncovered some interesting advantages and disadvantages for marketing professionals. As well as reading Lead Forensics’ GDPR: 12 steps to take now ebook, Katy took the time to watch “Countdown to May 25th: How to Turn the GDPR Challenge into an Opportunity” by HubSpot, both of which explained things clearly and raised some interesting points. According to the Information Commissioner’s Office (ICO), only 22% of UK consumers trust internet brands with their data and just 53% trust high street banks. There’s clearly a huge need to do something to restore faith in the handling of personal data. Despite a plethora of drama surrounding the hassle of getting GDPR compliant by 25 May, it’s got some advantages for UK citizens with regard to data privacy and UK businesses – especially where transparency, trust and best practice is concerned. All it really comes down to is that business owners and appointed data protection officers need to sort out their data, know where it comes from and who has access. But is this achievable? In March 2018, 85% of office workers were still not aware of what the GDPR is. The recent headlines, and imminent 25 May switchover, will have prompted many to take note but where does the average marketing department stand? 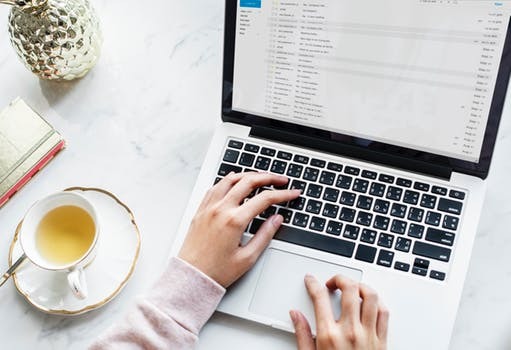 Copywriters and digital marketers are the ones handling the email lists, writing data protection statements and updating website privacy policies. So, while business owners will take ultimate accountability, it makes sense for marketers to play a part in the GDPR awareness campaigns and training sessions within the companies they work. The more ownership marketers take in these early stages, the more they’ll be able to thrive when staying GDPR compliant. Transparency encourages consumers to provide data – Marketers and other data collectors can no longer hide behind the unambiguous and this is likely to instil that lacking trust in UK consumers and have a positive impact on the economy. Marketers get permission to clear out the old – The GDPR stipulates that we can no longer collect data and squirrel it away for a rainy day. We can only keep data for a certain time (around one year in many cases), at which point we might have to face throwing it away – a new concept for many list builders! It’s also important to note that – under the new rights for consumers to access, modify and delete data – the consumer has the power to request for it to be changed or erased at any time. Compliance will encourage positive change – Copywriters and other communicators will have to focus on crafting messages that are concise, intelligible and assessable when addressing the GDPR and any subjects it relates to. While a good copywriter should always focus on being concise, intelligible and accessible with every project, Chichester Copywriter has found getting her head around the GDPR has added another feather to the copywriting cap, which is never a bad thing. ← Story Factory Chichester gets Deliciously – and Criminally – Creative!